Looking for a nursing job in Oswego County New York? Nursing RN, LPN, LVN, CNA jobs are listed below by Health Care facility in Oswego County. The listings here lead to the employment opening or recruitment pages for hospitals and facilities in the Oswego County area. Using these links you can find find Clinical, Behavioral / Mental Health Nursing, New York Licensed Practical Nurse LPN, Advanced Registered Nurse Practitioner, Medical Assistant, Registered Nurse RN, and Certified Nursing Assistant CNA employment opportunities. Oswego Hospital has been meeting the healthcare needs of Oswego County since 1881. The hospital facility is a 164-bed acute care community hospital, but there are other facilities and services within the network that offer a variety of employment opportunities. There is a high volume of ongoing career opportunities available. A survey of open positions available had included Bariatric Nurse Practitioner, Psychiatric Nursing Jobs, Psychiatric Registered Nurse, Psychiatric RN with bonus, Bariatric RN, Certified Nurse Aide CNA, Director of Behavioral Health Services, Director of Social Work, ED Tech PTB, ED Tech PD, Graduate or Registered Nurse Med Surg FT (Up to $5,000 Sign On Bonus), Home Care RN Case Manager FT ($7,500 sign on bonus), Home Care Occupational Therapist, Home Care Physical Therapist, Home Care RN Flexible schedule to include weekends ($7,500 Sign On Bonus), Home Care RN Clinical Reviewer Days $7,500 Sign On Bonus, Licensed Practical Nurse LPN, LPN/General Surgery Office, Med-Surg Technician ICU, Medical Assistant Orthopedics, Nurse Practitioner (Adult Outpatient) BHS EXE (Sign On Bonus Available), Nurse Practitioner Hospitalist Full Time (Sign On Bonus Available), Nursing Assistant or CNA Med Surg PT, Patient Care Technician PD, Phlebotomist, Psychiatric Social Worker LMSW, Registered Nurse Community Health Educator, Registered Nurse Surgery $5,000 Sign On Bonus, Registered Respiratory Therapist, Scrub LPN, Social Worker (LCSW/LCSW-R), Therapy Aide, and Unit Secretary. St. Luke Health Services, Bishop's Commons Enriched Housing Residence, and St. Francis Commons Assisted Living Residence, offer career opportunities for nurses. St. Luke offers a 100 hour Nursing Assistant Training Program combining classroom work with clinical training. St. Luke Health Services hires Physicians, nurse practitioners, registered nurses, licensed practical nurses, certified nurse aides, housekeepers, maintenance, social services, dietary and clerical positions. Oswego County periodically hires County public health nurses, Developmental Disabilities Program nurses, and more. During review there were open positions for DD Nurse Manager, Day Care Caregiver, Medical Office jobs, and more. Morningstar Residential Care Center is a family-owned and operated, 120-bed long-term and sub-acute skilled nursing facility, located in Oswego, New York. Morningstar Residental Care Center hires Registered Nurses, Licensed Nurses, Physical Therapists, Occupational Therapists, Speech Therapists, Social Workers, Recreational Therapists, Dieticians, and Nurse Aides. Kindred at Home provides professional medical, rehabilitative, palliative and end-of-life care for all patients, including those with acute, long-term or terminal needs. During this review there were openings in Oswego for Clinical Supervisor, Home Health Licensed Practical Nurse, Full Time Home Health RN Case Manager, Full Time Home Health Physical Therapist Assistant, and Per Diem Speech Language Pathologist. Integrative Counseling Services was hiring Full-time Mental Health Counselors on this review date. Home Helpers provides in-home care and home health care services for seniors, new moms, working parents, those recuperating from illness or injury, and those who need continued care for lifelong challenges. 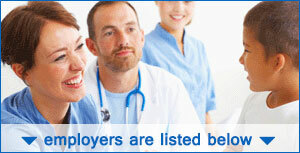 Hires qualified home health care providers and caregivers. Home Helpers was awarded the Best Place to Work in the 2014 Caregiver Choice Awards - an honor that means a lot to us because it comes from the caregivers themselves.